After the success of the first show in LA, fans of the artists saw videos and photos from the show as they spread around the internet. Seeing a strong desire from fans outside of Southern California, the ISA team decided the next step would be to take the show up the West coast to San Francisco. 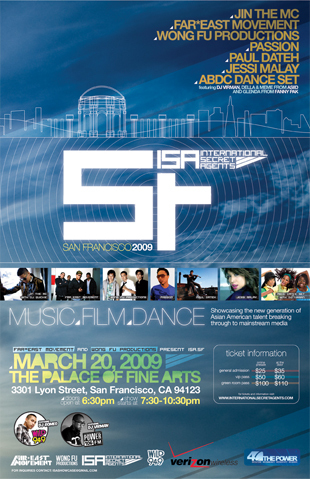 ISA SF 09 was held at the world famous Palace of Fine Arts. 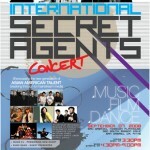 The new lineup included Jin the MC, who had his first major US show in over a year at ISA. Selling out the theater in just two weeks, the show was an enormous success and definitely set the bar high for future visits to other cities around the country.